Samsung recently launched the Galaxy A8s which left many of its fans wondering about the size of the Galaxy S10 display hole. All of the teasers and renders for the Galaxy A8s had shown a smaller display cutout compared to the one on the actual device. The Galaxy A8s is Samsung’s first smartphone with an Infinity-O display. That’s the same display technology that Samsung is expected to use for all three models of the Galaxy S10. A purported protective film for the Galaxy S10 suggests that the cutout may be smaller on the Galaxy S10. The three models of Samsung’s next flagship include a 5.8-inch entry-level model with a 6.1-inch Galaxy S10 and 6.4-inch Galaxy S10+. All three will reportedly feature an Infinity-O display, with the entry-level device getting a flat panel. This display has a hole in the panel itself for the front camera. It eliminates the need for a notch and many of our readers think it’s a good alternative. 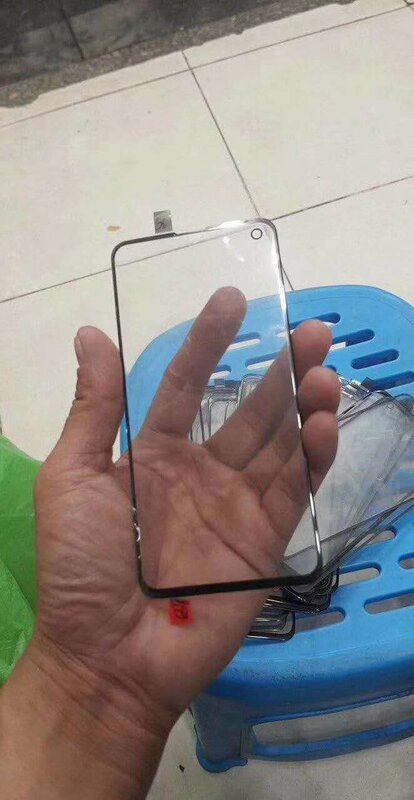 Based on this protective film for the Galaxy S10, it appears that the display cutout may be smaller than it is on the Galaxy A8s. The bezels also appear to be slimmer than they are on the Galaxy A8s. The 6.1-inch 19:9 aspect ratio display may not make one-handed operation of the device too difficult. It’s pertinent to mention here that the Galaxy A8s is also Samsung’s first Galaxy A series device with an LCD display. That won’t be the case with the Galaxy S10, not even with its entry-level model. It will feature an AMOLED display. It’s common for protective films and covers to surface ahead of the upcoming launch of a flagship. Bear in mind, though, that they don’t always tell the full story. It’s not that difficult to fabricate something like this after all. well i don’t like it 🙁 i don’t like hole ! il stay with my s9 for 2 or 4 years !! !